Jump Starting your Summer Fun! Schools almost out and we're ALL ready for Summer, aren't you? I can tell that my kids are ready for a break, and quite frankly, I'm excited to have them home!!! Even though Summer brings more mess in the house, a LOT more grocery shopping (with how fast "bored" kids gobble up snacks and food) and busy days of trying to finish up projects around the house while the weather is so nice... it also brings lots of FAMILY TIME! Cason and I just got back from our relaxing trip to Mexico, and we're ready to spend some good quality time with our kids now that school is ending in a couple of weeks. 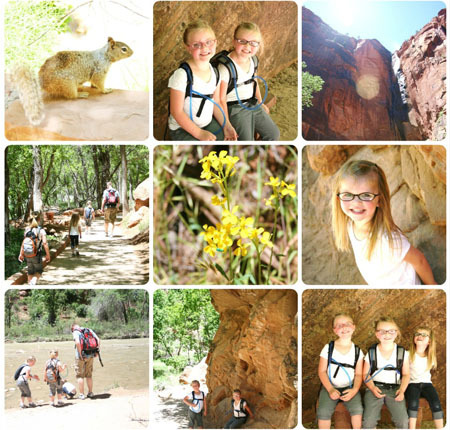 Last year for our Summer trip we drove to St. George and hiked in Zion's park. We've already planing on visiting a few hiking trails again this year here, around Salt Lake City, that we didn't get to last year, and for our bigger trip THIS Summer we're taking a drive to California to visit my Grandparents and head to the beach for a few days! 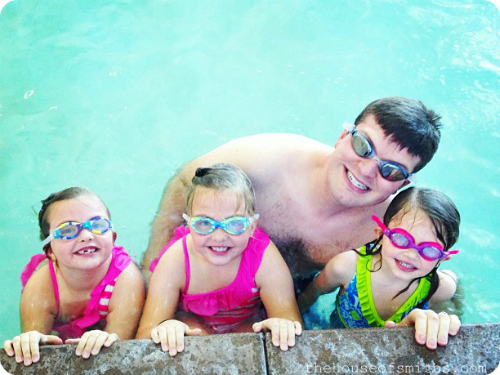 I swear my kids were fish in a prior life, so ANYTIME we plan a trip we have to make sure there's a pool or large body of water nearby for them to swim in. Are all kids like this, or just mine? In a nutshell, those are our plans for the next few months... along with a few home projects, like added storage in our garage and a cool wall or ceiling feature in our basement. Are you working on a big outdoor or interior home project? Taking a long vacation out of the country or finally going to that awesome amusement park that just opened for the season with your kids? 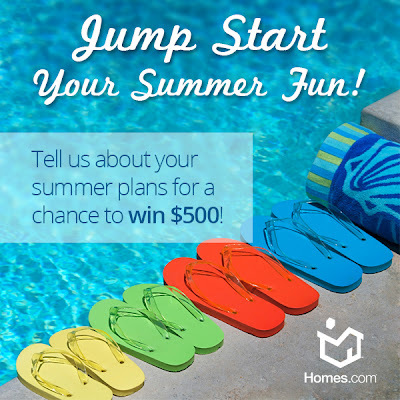 Simply 'jump' on over and take a quick survey with 15 multiple choice questions and let us know what YOU plan on doing this Summer, for a chance to win $500! SHARE YOUR PLANS WITH HOMES.COM HERE! Also, feel free to leave comments with your Summer plans on this post as well! We're always up for any good ideas to keep the kids busy during the weeks that they're out of school. Hope everyone's just as excited for sleeping in and sunny, warm days as we are! Yes our boys love being in the pool over summer as many times as they can get Mummy and Daddy to go in ! Love to hear about the summer plans and trips! I need to start planning our summer adventures. Great post! We are already on summer break which is wonderful!! We aren't going on a big trip this year, but we will be doing Pinterest projects, bbq's and hanging at the pool. Have a great Memorial Day!! I'm completely redecorating my home office and can't wait!!! You have beautiful children and wonderful plans for the summer! My kids are like that, too! We're headed to Cali in a few weeks and lo + behold, the San Francisco hotels don't have pools. Whuuuuut?!?! Thankfully, their cousin's house that we're staying at before + after SF does have a pool. And yes - so excited for summer. Its starting off with a bang for us, with a mama-daughter trip to DisneyWorld, followed by a trip to Northern CA. Some fun summer school classes and camps, and then capping the summer off with a trip to Michigan and a lake house. Somewhere in there, we're demo-ing and redoing our main bath.